Note: This article was originally published in Technician on April 5, 2007. Hilary Swank is an established actress, having already won two Academy Awards for her performances in Boys Don't Cry and Million Dollar Baby. This weekend, she can be seen in the supernatural thriller The Reaping, alongside Idris Elba, a relative newcomer to the world of film after having appeared on a variety of television shows, most notably The Wire on HBO. 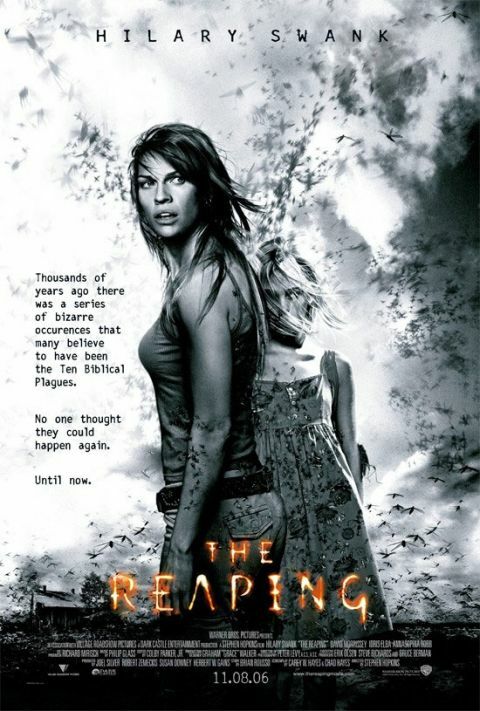 The Reaping follows a young woman who specializes in debunking supernatural phenomena. It chronicles what happens when she investigates a small town that is apparently being tormented by the 10 biblical plagues. "It's a smart supernatural thriller," Swank said. "Even though I read the script and act in the movie … when I watched the movie I got scared at certain points." Her co-star was also attracted to the project by the script. "The script really opened up my mind while I was reading it. And, you know, the way my character and Hilary's character interact and the relationship they have as they go debunking miracles is really interesting to me," Elba said. Swank plays a former Christian missionary who is disillusioned by the faith. However, the actress herself claims to be less of a skeptic than the character she portrays. "I'm more faith driven than skeptic driven," Swank said. "It was definitely interesting, though, to read about these people who are skeptics and how they feel like there's a scientific answer for everything. But I'm definitely more of the faith side." Despite the differences between the ideologies of her and her character, the actress didn't go on set unprepared to play the part. Along with reviewing the parts in the Bible related to the plagues, she also read about her character's profession and outlook. "There's a thing called The Skeptic Inquirer, which is this magazine that Stephen Hopkins, our director, had me read," Swank said. "I actually did a lot of reading just because I'd never really heard of anything like these, you know, Skeptic Inquirers." This contrasts with Idris, who has a very different attitude toward spirituality. "It just happens to be coincidental that my characters are sort of faith-based. Personally, I'm not religious, so it isn't my particular religion that draws me to these characters," Elba said. The film was shot around New Orleans and was nearly canceled after Hurricane Katrina swept through the area. "We're doing a film about the acts of God, and here we are in the middle of one," Elba said. "It was a very interesting and deep experience for all of us involved. The movie went on hiatus for four weeks or so while the rescue operation was in place." When filming finally did begin again, there was a very different atmosphere on set. "It changed the way the whole crew and the actors approached the work. It really changed the way we related to the material in a good way that made the film actually look deeper within itself," Elba said.